India is all set to add one more denomination to its currencies shortly. 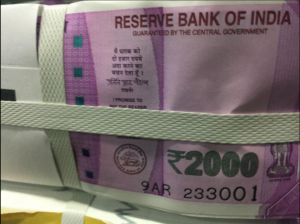 The Reserve Bank of India (RBI) will be issuing Rs 2,000 currency notes, the highest to come into circulation, even as some experts feel high-value denominations should be discontinued to curb black money. 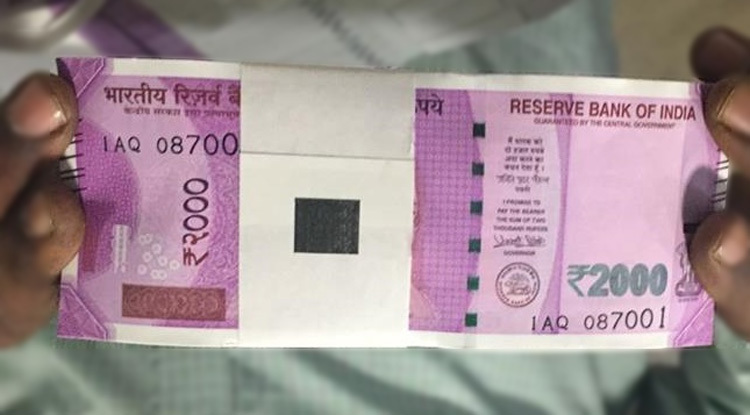 The printing of these notes has been completed at the Mysuru currency printing facility. The notes are being despatched, the BusinessLine reported, citing sources. The daily added that neither the Indian government nor the central bank confirmed the development. Currency notes and coins are printed/minted at about eight units owned by the Security Printing and Minting Corporation of India Limited (SPMCIL), a finance ministry company. SMPCIL’s two currency printing units — at Dewas in Madhya Pradesh and Nashik in Maharashtra — print about 40 percent of India’s currency notes. Coins are minted at Mumbai, Hyderabad, Kolkata and Noida units of SMPCIL. Currency notes and coins are printed/minted by the government of India on the advice of the RBI, which also estimates the denomination-wise currency needs, and co-ordinates with the government on design and security aspects.